Peter D. Aquino is President and Chief Executive Officer of Internap Corporation (INAP) and also serves as a member of INAP’s Board of Directors. He is a veteran of the technology, media and telecommunications (TMT) industries, with a track record of successfully guiding major expansion efforts, turnarounds and strategic partnerships and transactions at both public and private companies. Prior to assuming his role at INAP, Mr. Aquino served as Chairman and Chief Executive Officer, and later as Executive Chairman, of Primus Telecommunications Group, Inc. from 2010 until 2013. Under his leadership, PTGi grew into an integrated telecommunications company serving consumer and business customers with voice, data, high-capacity fiber and data center services globally. Prior to this, he was the President and Chief Executive Officer of RCN Corporation from 2004 until 2010, where he built the company into an all-digital HDTV cable multiple system operator and created an advanced fiber-based commercial network through organic and acquisition strategies. He is also the founder of Broad Valley Capital, LLC, where he provided consulting services and capital to improve companies’ business operations, productivity and asset value. He began his career at Bell Atlantic (now Verizon) in 1983. Mr. Aquino currently serves on the board of directors of Alaska Communications Systems Group, Inc. (Nasdaq: ALSK) and recently served on the board of directors of Lumos Networks (Nasdaq: LMOS) and FairPoint Communications, Inc. (Nasdaq: FRP), prior to both being sold in 2017. Mr. Aquino holds a Bachelor’s Degree from Montclair State University and an MBA from George Washington University in Washington, D.C.
Andrew Day leads INAP's global operations, including sales, marketing and operations for Colo, Cloud and Network product lines. He brings to INAP over 25 years of management experience in telecommunications, technology innovation, sales and marketing leadership. Prior to joining INAP, Mr. Day held several senior leadership positions in sales and general management for technology companies. Most recently, he served as Senior Vice President, Consumer Channels at Rogers Communications, where he led all consumer product sales across all sales channels. Previously, Mr. Day was CEO Primus Telecommunications Group Inc. and Primus Canada, where he was responsible for the company’s direction and results. Before joining Primus, he held various roles of increasing responsibility in general management, sales, product management, and finance at AT&T, Gillette and Xerox. Mr. Day holds an Honours B. Comm. from McMaster University, is a Chartered Public Accountant (CPA) and is also a Chartered Director (C. Dir.). Jim Keeley leads INAP’s financial operations, information technology and procurement organizations. 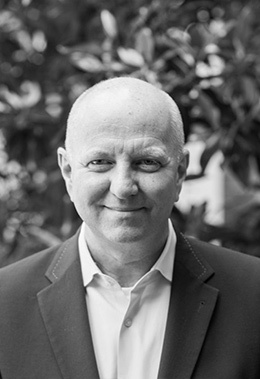 He has over 25 years of financial and accounting leadership experience covering a diverse set of industries, including 10 years in technology, media and telecommunications (TMT). Prior to joining INAP, Mr. Keeley was the Chief Financial Officer of Tahzoo, LLC, a privately held digital marketing and systems integrator. He provided financial consulting services for small-to-medium sized businesses, including serving as Chief Financial Officer of Icore Networks Inc. and General Manager of the Virginia office of Vonage Holdings Corporation, after its acquisition of Icore. Mr. Keeley also held various financial and accounting positions of increasing seniority at Primus Telecommunications Group, Incorporated, including Chief Financial Officer and Chief Accounting Officer. He has held various financial reporting and accounting positions with FBR Capital Markets Corporation, and 3SI Security Systems, Inc. and with two publicly traded companies, The Pep Boys—Manny, Moe & Jack and David’s Bridal, Inc. Mr. Keeley is a certified public accountant. He holds a Bachelor of Science in Accounting from Fairmont State College. Richard Diegnan leads INAP’s legal, regulatory and compliance functions. 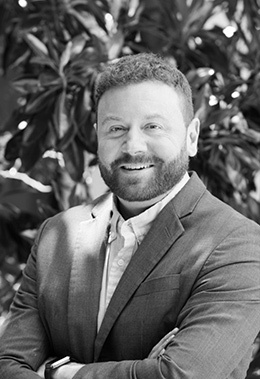 Mr. Diegnan has over 20 years of experience as an attorney representing a diverse group of clients including both private and public companies. Prior to joining INAP, Mr. Diegnan was a partner at Diegnan & Brophy, LLC where his practice was concentrated in corporate counseling, mergers and acquisitions, commercial transactions, real estate and commercial dispute resolution. He served as General Counsel and Chief Financial Officer to Travel Tripper LLC, a hotel web technology company and served as General Counsel and Chief Administrative Officer to Broad Valley Micro Fiber Networks Inc., a fiber and wireless infrastructure services provider. Mr. Diegnan was also a corporate attorney at McCarter & English, LLP and Milbank, Tweed, Hadley & McCloy LLP in New York City. Mr. Diegnan holds a J.D. from the Seton Hall University School of Law, an M.B.A from Fairleigh Dickenson University and a B.S. from Providence College. Mr. Diegnan is licensed to practice law in New York and New Jersey. John Filipowicz leads INAP’s Human Resources function. Mr. Filipowicz has over 20 years of human resources, legal and operations experience in the telecom industry. Prior to joining INAP, Mr. Filipowicz was the Chief Administrative Officer, General Counsel and Chief Compliance Officer at Primus Telecommunications Group, Incorporated. Also he served as the President of Residential Markets, Chief Administrative Officer and Senior Vice President and Assistant General Counsel to RCN Corporation. Mr. Filipowicz holds a J.D. from Western Michigan University and a B.A. from St. Lawrence University. Jennifer Curry leads INAP’s global cloud services group. 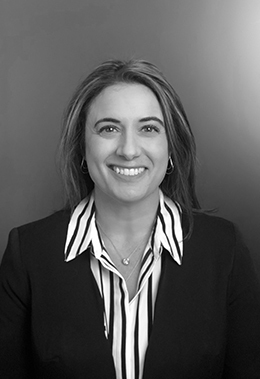 She is responsible for the architecture, infrastructure engineering and technical support of the company’s cloud and hosting solutions, including bare metal, private cloud, managed hosting, third-party managed cloud and business continuity. 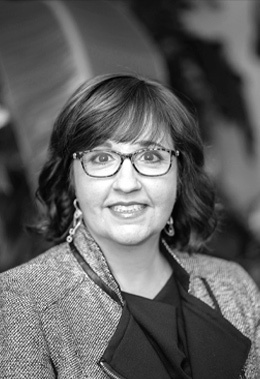 A tech thought leader committed to INAP’s mission of empowering IT transformations, Ms. Curry has 18 years of experience in the industry, with eight years leading teams in the hosting and cloud space. She most recently served as INAP’s vice president of hosting and managed services. Prior to INAP, Ms. Curry held several senior positions in the data center and telecommunications industries. She served as vice president of cloud at Zayo Group, vice president of systems engineering, implementations and IT at Latisys, and senior manager of software at Level 3 communications. Ms. Curry holds a Bachelor’s of Business Administration from the University of Notre Dame. Mike Higgins is responsible for driving INAP’s top-line growth through asset management of the company’s data center portfolio. Mr. Higgins leads INAP’s data center services unit, colocation product and sales support, data center capacity planning and design engineering. He also oversees the data center operations teams responsible for 24/7/365 uptime across INAP’s flagship data centers. 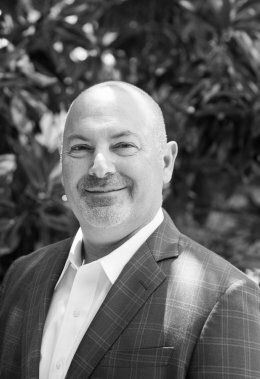 He is a seasoned executive with extensive business development, financial analysis, product management and leadership experience in the data center and telecommunications industries. Mr. Higgins most recently served as INAP’s senior vice president of sales for the East region, Inside Sales, and the Channel. Additionally, he led the solution engineering team responsible for creating technical customer environments that best utilized INAP’s portfolio of assets. Lastly, he was responsible for INAP’s data center migration strategy, which leveraged INAP’s existing flagship data centers and improved EBITDA margins. Previously, he held the position of senior vice president of business development, where he drove technical customer solutions and customer retention strategies. In addition, Mr. Higgins also served as INAP’s senior vice president of data center services and was responsible for colocation product management and data center design and engineering. In this role, he led the data center expansion strategy which doubled the size of INAP’s data center footprint across the nation. He joined INAP in January 2004 as vice president of financial planning and analysis. Prior to INAP, Mr. Higgins held numerous leadership roles in business operations, business development and finance over an 18-year career span at Verizon, last serving as vice president of business operations. Mr. Higgins holds a B.S. in Accounting from Villanova University and an MBA in Finance from the University of Bridgeport. Mary Jane Horne is responsible for planning and executing INAP’s global network strategy, delivering a more robust, scalable and secure network. In addition, Ms. Horne oversees INAP’s vendor management team responsible for all carrier relations, including vendor strategy and contract negotiations, while ensuring the quality and timely delivery of all services. She also directs the activities of the Network Operations Centers (NOCs) across the worldwide footprint, who are responsible for the oversight and management of INAP’s network performance. A strategic and results-driven executive with a proven track record of success, Ms. Horne has more than 25 years of network and operational experience in the technology, media and telecommunications industries in the U.S. and abroad. Before joining INAP, Ms. Horne served as vice president, engineering construction and commercial services at Comcast, where she was responsible for the strategic network planning of both the residential and commercial business networks in the Northeast and mid-Atlantic regions. In addition, she developed standards for fiber installation and repair processes, which were rolled out across the nationwide Comcast footprint. Prior to this role, Ms. Horne was the chief operating officer at Broad Valley Micro Fiber Networks, Inc., a start-up company focused on the construction and operation of rural broadband networks in the Mid-Atlantic states. She also gained international experience as the vice president of network and technology planning at Primus Telecommunications Group, Inc., where she worked in Australia, London and Canada. Her responsibilities included the redesign of the company’s metro networks and product offerings, as well as leading the sale of the Australian business unit in 2012. Ms. Horne received her Bachelor of Science in electrical and computer engineering from Northeastern University and has completed leadership development programs at the University of Pennsylvania’s Wharton School of Business. 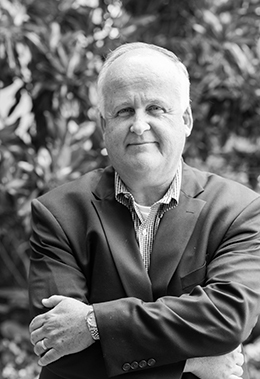 Rich O’Dea leads INAP’s global sales and client services organization, including direct, inside and channel sales, customer success, solutions engineering and sales operations. 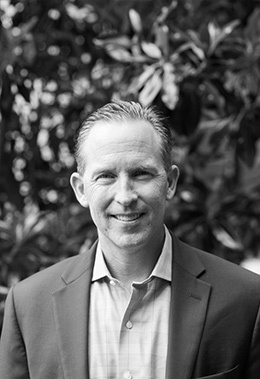 Mr. O'Dea brings over 30 years of sales experience, leading organizations executing multi-million-dollar technology and information services sales to Fortune 500 C-level executives. His experience spans multiple disciplines including FinTech, global capital markets, cloud services, edge computing and digital transformation Mr. O'Dea has held global Leadership positions with solution providers such as Dow Jones & Co., Reuters Information Services and Sungard, developing and executing strategies to rapidly build new markets around the world. 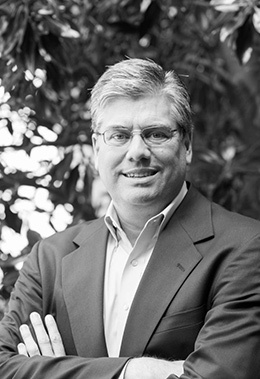 Most recently he held sales management positions with Equinix and was a member of the Global Leadership team. He was instrumental in developing a global, multi-asset trading ecosystem within Equinix facilities where today over $4 trillion is traded daily. Mr. O'Dea holds a Bachelor of Science in Finance and Computer Information Systems from Manhattan College. Joe DuFresne leads the strategic and financial analyses and execution of inorganic activities including merger and acquisitions, joint-ventures, strategic partnerships, divestitures and other business combinations across INAP’s global footprint. Mr. DuFresne is an experienced corporate finance practitioner with more than 25 years of operating company and investment banking experience. Prior to INAP, Mr. DuFresne was the CEO and CFO at Broad Valley Micro Fiber Networks, a fiber and wireless infrastructure provider serving the Mid-Atlantic. Mr. DuFresne also spent more than a decade in investment banking where he focused on the telecommunications sector with a focus on infrastructure businesses, including metro fiber and data center-related businesses. Over the course of his banking career, Mr. DuFresne executed a broad array of debt and equity financings and buy and sell-side M&A transactions in the U.S., Europe and Japan. Mr. DuFresne was a member of the media and telecom investment banking groups at UBS and Oppenheimer & Co. and began his banking career in the telecom group at Deutsche Bank Securities. Mr. DuFresne started his career at UOP, a process technology licensor for the petrochemical and oil and gas industries. While at this company, he lived and worked outside the U.S., including time in Europe, Russia, Asia, South America and Africa in various roles from technical service to project sales. Mr. DuFresne holds an MBA from the Tuck School of Business at Dartmouth College and a Bachelor of Science in chemical engineering from Montana State University. Roberto Montesi leads INAP International, and is responsible for sales, facilities, support, provisioning and operations. He also oversees web and VPS hosting provider Funio, an INAP company. 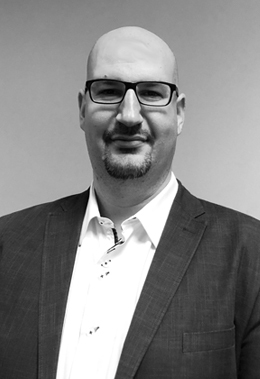 Mr. Montesi brings 15 years of management and leadership experience in telecommunications, information technology, solution selling and customer support. Previously, Montesi held numerous sales and support positions at INAP and iWeb, an INAP company, including general manager of iWeb and senior director of sales. Prior to INAP and iWeb, Mr. Montesi led support teams at telecommunications companies Look Communications and Videotron, and oversaw call center builds for Optimal Service Group and Ingenico. 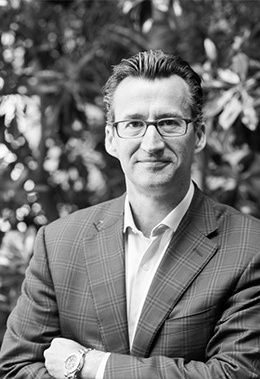 TJ Waldorf leads INAP’s global marketing organization as Vice President of Global Marketing. Prior to this position, he served as Vice President of Inside Sales and Marketing at SingleHop, which was acquired by INAP. Mr. Waldorf's previous experience encompasses a broad spectrum of marketing, sales, operations and business management positions, including management roles at Phoenix NAP and Secured Servers. There, he led initiatives to increase global market share across several data centers with a broad IaaS portfolio of dedicated and virtual servers, colocation, private and hybrid cloud. Mr. Waldorf earned his Bachelors of Business of Science in Business Marketing and MBA from the University of Phoenix. Richard Ramlall leads INAP’s Investor and Public Relations function. 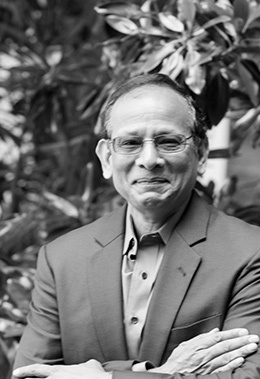 Mr. Ramlall has over 30 years of business development, strategic planning, regulatory, investor relations, and public relations experience in telecom and media. Most recently, he provided through his own firm investor relations, financial and regulatory due diligence and compliance, business development, strategic planning, and public relations consulting to public and private organizations. Mr. Ramlall’s corporate experience includes various roles at Verizon, Bechtel, Spencer Trask Ventures, RCN and Primus. Mr. Ramlall holds a B.S. in Business Administration and an M.G.A. (Technology Management) from the University of Maryland. Gary Pfeiffer retired in December 2006 after 32 years with E.I. du Pont de Nemours and Company (DuPont). During his career with DuPont, Mr. Pfeiffer held a variety of financial and business leadership positions in the United States, Brazil and Japan, including nine years as senior vice president and chief financial officer. He previously has served as secretary of finance for the state of Delaware. He currently also serves on the board of Quest Diagnostics, Inc. and previously served on the board of TerraVia (formerly known as Solazyme, Inc.). Mr. Pfeiffer holds a B.A. and an M.B.A. from the College of William and Mary in Virginia. Mr. Potts serves as Executive Vice President and Chief Financial Officer of ARRIS International, Inc. since 2004 and previously was responsible for the ARRIS’ IT function from the acquisition of Arris Interactive L.L.C. in 2001 until 2016. Prior to joining ARRIS, Mr. Potts was the chief financial officer of ARRIS Interactive L.L.C. from 1995 to 2001. From 1984 through 1995, Mr. Potts held various executive management positions with Nortel Networks, including Vice President and Chief Financial Officer of Bell Northern Research and Vice President of Mergers and Acquisitions in Toronto. Prior to Nortel Networks, Mr. Potts was with Touche Ross in Toronto. Mr. Potts holds a Bachelor of Commerce degree from Lakehead University in Canada and is a member of the Institute of Chartered Accountants in Canada. Debora J. Wilson served as President and chief executive officer of The Weather Channel (TWC) from 2004 until 2009. During her tenure as CEO, TWC grew to become one of the most well-known and respected media brands and among the most successful at broadening its content and profit sources into a cross-platform, multi-media organization, with significant increases in distribution, revenue and profit as a result. Before being named CEO, Ms. Wilson also served as chief operating officer and executive vice president of TWC and launched weather.com®, consistently ranking among the top 20 web sites and the top five content sites on mobile devices. Before joining TWC, she spent 15 years in the telecommunications industry at Bell Atlantic (now Verizon) and held management positions in network operations and new product development. She also currently serves on the boards of Markel Corporation and ARRIS Group, Inc. Ms. Wilson has a B.S. in Business Administration from George Mason University in Virginia. Peter J. Rogers, Jr., 63, has served as a director since 2016. 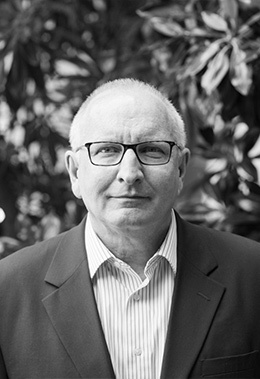 Mr. Rogers brings more than 30 years of experience managing key operational functions including finance, marketing, business development, investor relations and mergers and acquisitions. 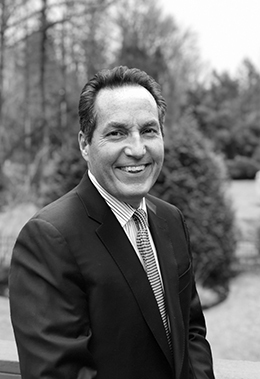 Most recently, he served as President and Chief Executive Officer of Dovetail Systems of Bethesda, MD, a hospitality software company, where he is also a member of its board of directors. In addition, he is board chairman of B4Checkin of Halifax, Nova Scotia, Canada, a privately held hospitality software company. He is also a principal of The Stroudwater Group, a management consulting company located in Washington, D.C. and a member of the New Dominion Angels Investor Group of Northern Virginia. Mr. Rogers started his career in 1979 with General Foods Corporation (now Kraft Foods Corporation, Nasdaq: MDLZ), White Plains, NY, as a Senior Financial Analyst. He spent seven years as a Financial Analyst and Consumer Products Marketing Manager with the Van Leer Corporation, a Dutch company, in its U.S. subsidiary, Keyes Fibre Co. of Stamford, CT. In 1987, Mr. Rogers joined MICROS Systems, Inc., Columbia, MD, as Director of Marketing. Mr. Rogers spent 27 years with MICROS (Nasdaq: MCRS) as it grew from a small company ($18 million revenue and $3 million market capitalization) to a global leader in information systems for the hospitality and retail industries ($1.4 billion revenue and $5.3 billion market capitalization). He served as Director of Marketing, Director of Business Development and a Product Director from 1987 to 1996. Mr. Rogers was Executive Vice President for Business Development and Investor Relations for MICROS from 1996 to 2014. Mr. Rogers left MICROS shortly after it was acquired by Oracle Corporation in 2014. Mr. Rogers also served in the role of setting product and service pricing, initiating its stock repurchase program at the board level, developing and managing its strategic partner relationships, creating its strategic plan and participating in its mergers and acquisitions efforts. He created its electronic payments business, one of the first integrated credit card payment systems in the hospitality industry. He managed its integrated credit card business for 24 years, extending its platform globally. He previously was an advisor to Purple Cloud Technologies of Atlanta, GA, a startup hotel software company. Mr. Rogers has extensive board experience. He served as a board member for StayNTouch (privately held hospitality software company in Bethesda, MD), Johns Hopkins Howard County (MD) General Hospital (Chair, Vice Chairman, and board member), Johns Hopkins Medicine and Executive Boards, the Howard County (MD) Economic Development Authority (Chair, Vice Chair, Treasurer and board member), and The Hotchkiss School of Lakeville, CT. He also served as President of the Hotchkiss School Annual Fund. He currently serves on the Advisory Board for Penn State University’s School of Hospitality Management. Mr. Rogers is a graduate of the University of Pennsylvania (BA Economics – Honors) and New York University’s Stern Graduate School of Business (MBA, Corporate Finance). He holds a professional certificate in Investor Relations from the University of Michigan Ross School of Business and a Corporate Board Fellowship designation from the National Association of Corporate Directors. Lance L. Weaver is an accomplished consumer financial services executive with nearly 40 years of experience across the consumer lending, mortgage and credit card asset classes. He has served as an advisor to financial services companies including VISA, Citigroup, Total System Services and Apollo Capital, and was president, money cards for Virgin Money Holdings in the U.K. from 2013 to 2015. Before holding these positions, he was President of EMEA Card Services for Bank of America, with approximately $30 billion in assets across Europe, Canada and China. He had previously served on the senior management team of MBNA Corporation for 15 years, where he helped build MBNA into the largest independent credit card lender in the world when it was acquired by Bank of America in 2006. His prior experience includes executive leadership roles with Citigroup, Wells Fargo and Maryland National Bank. Mr. Weaver currently serves as lead director of PRA Group, Inc. (Nasdaq: PRAA). Mr. Weaver is a past member of the Georgetown University board of directors and board of trustees, and a past board chair of MasterCard. Mr. Weaver earned a Bachelor of Arts degree in marketing from Georgetown University.